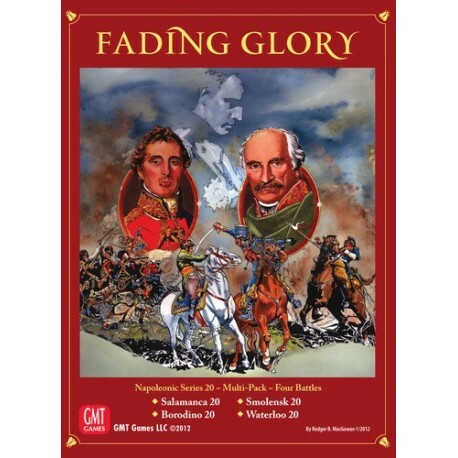 Fading Glory Napoleonic 20 Multi-Pack, Volume I regroupe 4 batailles napoléoniennes initialement parues chez VPG utilisant peu de pions et rapides à jouer. The Napoleonic 20 game system from Victory Point Games features lower-level wargame complexity on maps where, generally, 20 pieces or less are in play at one time (total, for both sides). 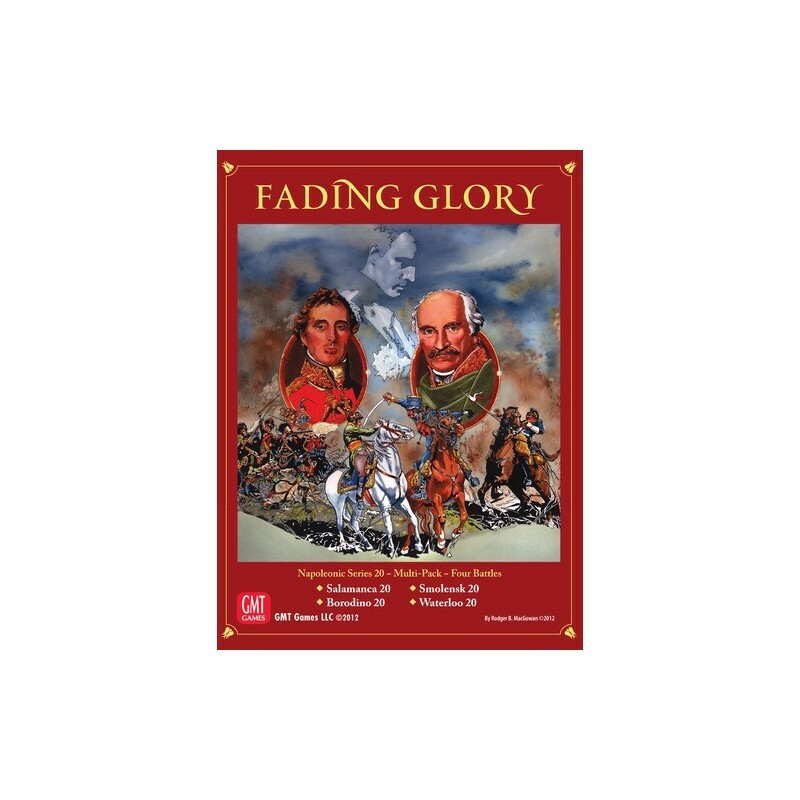 This creates tense, dramatic and fast-playing situations on the board where higher echelon troop formations (generally corps) vie for position and dominance. Subscribers to C3i have recently enjoyed Jena 20, a game in this series which features eight pages of Standard rules and one-to-two pages of exclusive rules per title. Veteran game designer Joe Miranda, with developers Alan Emrich and Lance McMillan, have created and refined a highly popular game series that is growing all the time. (Based on Joe's series rules, Alan, Lance, and Steve Carey have each designed one of the games in this multi-pack - in addition to Joe's Waterloo game.) A hallmark feature is the use of narrative random event cards that help “tell the stories” unique to each battle and small campaign. This “friction of war” element, combined with the operational-level maneuvers, combat, and even lulls, provide players a fun exercise in the Napoleonic parry-and-thrust of grand battles as armies close to bayonet-point to see which will break first. Sample Random Event Card Morale plays an vital role, as both sides can ‘spend’ this resource to force march their units, help rally stragglers, or commit reserves to a key attack or defense. But look out… when a side’s morale is reduced to zero, it has lost the game! Très bon wargame GMT facile d'accès.